Cisco Systems has a low valuation, 3% dividend yield and has transitioned its business toward software and services. According to the analysts at Morgan Stanley, Cisco Systems, Inc. (CSCO - Get Report) is one to consider. The team published a report of the best stocks worthy of a fresh investment. While it included some great companies like Walt Disney Co. (DIS - Get Report) and Action Alerts Plus holding Microsoft Corporation (MSFT - Get Report) , the name that stuck out the most to TheStreet's Jim Cramer was Cisco. Speaking on CNBC's "Stop Trading" segment, Cramer noted the company's low valuation and 3% dividend yield. From the analysts' report, Cisco is one of the "best positioned to provide software and security." Cramer, who's in San Francisco at the moment, said a number of companies he has spoken with cite cyber security as the No. 1 risk for their business. Specifically, hacking is a major concern and it's something that Cisco is addressing. 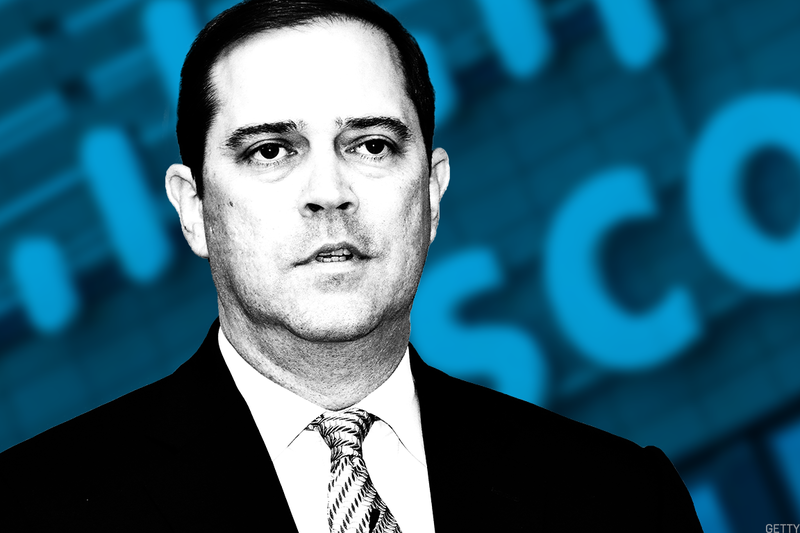 He also explained how CEO Chuck Robbins has transformed the company, pivoting away from its legacy of switches and routers and putting a greater emphasis on software and security. Robbins has "reinvented Cisco" and is finally getting the recognition he deserves, said Cramer, who also manages the Action Alerts PLUS charitable trust portfolio. With an improving business, low valuation and solid yield, "Cisco works for me," Cramer concluded. Shares of Cisco stock closed higher by 0.27% at $45.28 Wednesday.